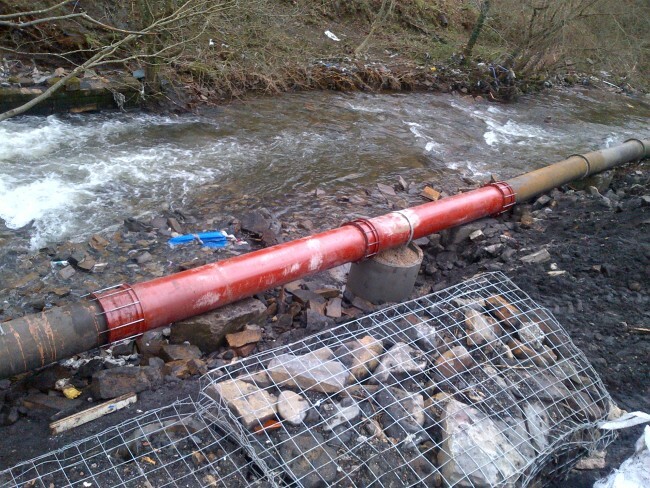 Our emergency response service was put to good use when a retaining wall collapsed damaging this sewerage pipe. Once we received the call, our specialist site engineer visited the site; surveying the area and obtaining the necessary dimensions required to provide the most cost effective solution. The site contractors and water company demanded the pipework on Monday AM to allow time to perform additional maintenance on the unsafe site. Our design team received the dimensions on Friday and by Saturday the pipework and couplings were manufactured and ready for transportation. We delivered the pipework and couplings first thing Monday and were ready to meet the contractors when they arrived. The sewerage pipe was re-connected showing another example of the dedication, responsiveness and professionalism of UTS Engineering.